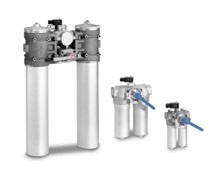 Since the early 1960s, MAHLE Industry has been active in the filtration of hydraulic and lubricating fluids. The continuous development of materials and production technologies guarantees economically and technically optimized products of the highest quality. 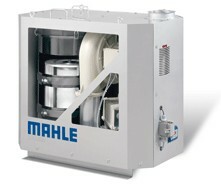 MAHLE industrial filters are therefore the first choice for machine manufacturers and operators of mobile and stationary hydraulic equipment alike. The multilayered design of MAHLE filter elements allows a broad range of applications and high dirt-holding capacity. 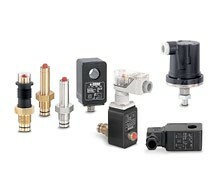 The filtration performance of the elements remains constant, even with increasing differential pressures, and provides maximum protection even under pulsating loads. 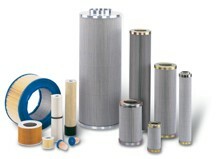 Long filter service life with low flow resistance guarantees optimal, economical application. With MAHLE maintenance indicators, maintenance is simplified and maximum economic efficiency is achieved with complete utilization of the dirt-holding capacity of the filter elements. Installed upstream of the pump or accessible from the outside in a particularly easy-to-service configuration with a contamination indicator integrated into the suction line, suction filters protect the pump from large-particle contamination. A selection of elements adapted for use with the system protect installations and pumps from 10–25 µm range with our micro-quality products, or in the coarse particle range using easy-to-clean wire gauze. Anti-corrosion and impact-resistant breather filters supply contamination-free air to reservoirs. 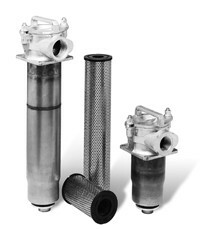 A wide range of replaceable filter elements adapted to the needs of the system ensure that the degree of filtration required by the hydraulic filter is obtained. Return-line filters retain all the contamination created within the equipment and flushed out of the hydraulic circuit, thus preventing contamination entering the circuit via the tank and pump, with the negative consequences this entails. 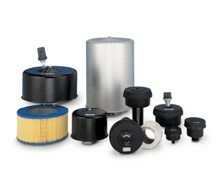 In the field of industrial filtration, there is virtually nothing as demanding as dedusting technology, and so it is particularly important for MAHLE to have additional expertise in the design, selection, and integration of appropriate filter cartridges. Our filters, equipment, and systems for the dust filtration of air and other gases increase productivity and systems reliability, and contribute to product recovery and increased environmental protection and safety at work. For more than 40 years, MAHLE has been providing effective ecological and economical solutions for safe dust filtration and clean process performance. 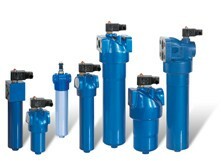 With comprehensive engineering expertise, we provide cutting-edge filtration solutions that make us a market leader. Cooling lubricants (oil or emulsions) are used under high pressure during industrial machining and forming operations – in modern machine tools, for example. As a result, more oil mist and emulsions are released into the air. To ensure that the aerosol level of the maximum workplace concentration (MAK) value is not exceeded, the cooling lubricant mist must be reliably and continually extracted from the work area of the machines and cleaned. Conventional systems frequently struggle with this task. Two optimized cleaning systems are available for star-pleated filter cartridges: the MAHLE rotation air nozzle and the multi-jet nozzle. The unique technical details of these components are based on our many years of practical experience and extensive development testing. Star-pleated MAHLE dust filter cartridges are used to separate dust from air and gases in nearly all branches of industry. The consistently high quality of MAHLE dust filter cartridges is ensured by regular, extensive performance checks on production materials. In addition, application tests are conducted on our test benches in the development lab and on site in our systems. These results allow existing products and production methods to be improved and new ones to be developed. MAHLE provides a wide range of high-end solutions: for example, for filtration of gas turbine intake air, for product separation in production or transport processes, or in sample gas filtration. Materials with FDA approval are used in the pharmaceutical and food industries. 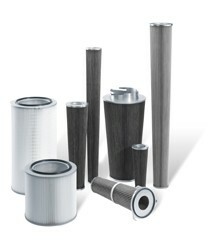 The conical geometry of MAHLE filter cartridges has advantages over cylindrical designs. Filtration performance is about 30% greater for the same filter surface. This has been confirmed in long-term operation. The reason lies in a considerable reduction of the upward stream speed near the lower end cap. This allows an even closer arrangement of the filter cartridges to be arranged even more closely, and thereby creating a more compact form. The de-dusting action is significantly improved, especially for light dusts, since they can sediment better. 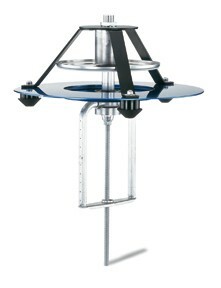 The conical design also provides greater mechanical strength and differential pressure resistance.